Electric cars come in all shapes and forms these days, and while some are admittedly ugly and boring, others have stunning designs and performance parameters borrowed straight from science fiction. For this episode. 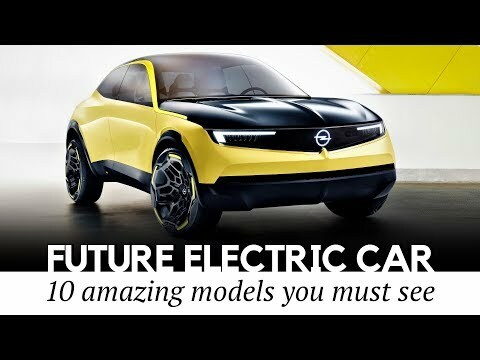 We dag deep into the automotive news and managed to gather a list of the most intriguing new EV models that you probably haven’t seen before! Infiniti Prototype 10 is a lean and lightweight one-seater sedan with elongated body, asymmetric cockpit location and all-electric powertrain. Audi PB18 e-Tron is an all-electric supercar concept that is equipped with 3 electric motors, solid-state battery pack, and a center driver seat. Stylish electric powered sedan concept featuring Tata Motors’ new Impact Design 2.0 philosophy, OMEGA architecture, and 280 mi of range. Expected to hit the road sometime around 2020-2022. Mercedes AMG Electric Silver Arrow is single seater roadster concept that runs on dual electric motors delivering around 737 horses. The car was presented at Pebble Beach auto show this August. If you were wondering, why in the world cars makers are not building electric cars with solar panels that could recharge themselves, your prayers have been heard. Meet Sion from Sono motors that will be the first production Solar car with 20 miles of free daily range. Luka EV was designed by a Czech startup MW Motors and it will be attempting to win over the EV buyers by its retro design and extreme efficiency. Giorgetto Giugiar designed a futuristic electric car GFG Sybilla that was created in collaboration with smart energy management company Envision. It will be unwise to underestimate the importance of GT X concept as it is the first car revealed by the Opel/Vauxhall brand after the PSA Group acquired it from General Motors. Experimental basically establishes how the cars from this manufacturer will look like in the future. Volvo 360c is the company’s new fully autonomous all electric concept car that is envisioned to represent the future of personal mobility. This electric supercar has retro design and is based on the Soviet hatchback IZh 21252 "Kombi" with rather unimpressive performance parameters. During the Summer 2018 Daimler presented the production model of their new Mercedes eCitaro city bus, that will be changing the face of public transportation all over the world.